Here are our August events! 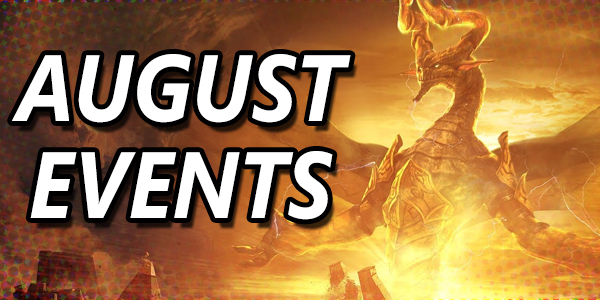 August 5 & 6 – Hour of Devastation Games Day! 8/29 Munchkin FREE Play! – 6 p.m.
9/3 “Wordsy” board game demo from 1-6 pm. D&D Adventurers League – 6 p.m. Commander Free Play – 5 p.m.
Munchkin Free Play! 6 p.m.!